An alarming report from the World Health Organization (WHO) recently stated that 90 percent of people worldwide are breathing polluted air. 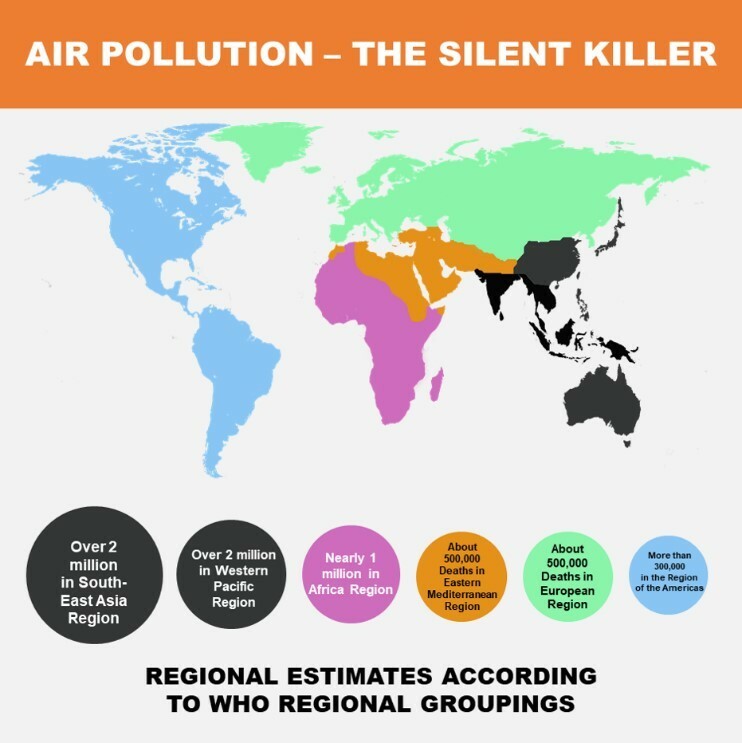 As air quality declines, the risk of stroke, heart disease, lung cancer, and chronic and acute respiratory diseases, including asthma, increases for people living in the worst affected cities. Most agree that to curb global warming, we all need to enact a variety of measures such as driving less and taking fewer flights, while increasing recycling and conservation efforts to reduce our carbon print – the amount of carbon dioxide a person is responsible for putting into the atmosphere. Generally, any man-made substance introduced into the atmosphere can be considered a pollutant. We have to not only protect our environment but also take care of our wellbeing and that of our loved ones. Hence, it is very important to invest in good air purifying products that filter out the toxins that breeze into our homes, thereby making the air more breathable and preserving our health. While people can wear an air filter mask when outside the home, it is wise to choose a high-quality air purifier for indoor space, one that’s certified for its ability to remove fine dust, particles and other harmful matter. Air purifiers from LG’s air solutions can help consumers improve the indoor air quality if they choose to invest in a good and effective appliance. Especially for those having asthma, COPD (chronic obstructive pulmonary disease) or allergic reactions, the effective HEPA filters are proven to trap 99.97 percent of extremely small airborne particles and other pollutants. Helping families establish the optimal indoor living environment, LG has set new standards with its new LG DUALCOOL air conditioner, a device that not only cools and heats effectively and efficiently, but also offers comprehensive air purification. The air purifying technology in LG’s DUALCOOL detects and eliminates particles as small as PM1.0. Its Micro Dust Filter absorbs negatively charged microparticles including viruses and bacteria to help keep families safe. DUALCOOL’s Indoor Air Quality Display shows the status of indoor air quality, using six colorful icons that make it easy to see the quality of the air at any time. 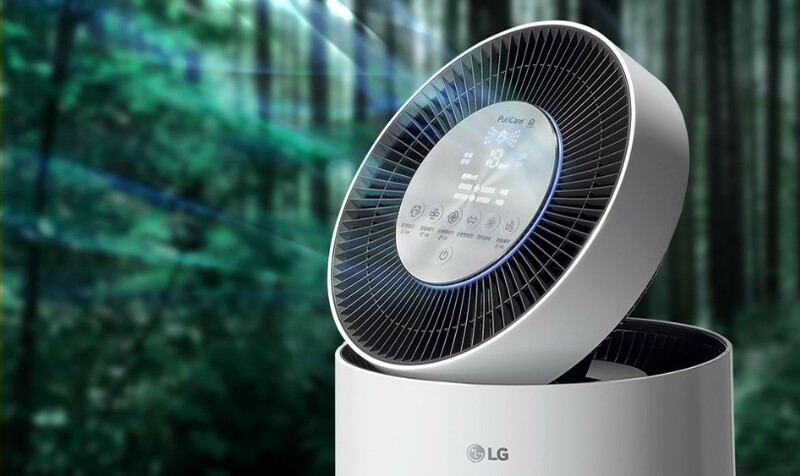 LG’s latest offering, the LG PuriCare 360° air purifier, employs an advanced Smart Sensor to detect fine particles under 1 micrometer in diameter while also eliminating unpleasant smells. 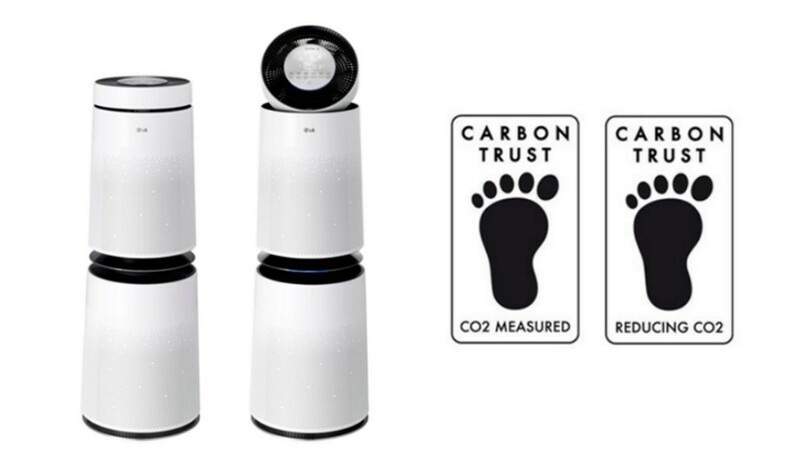 The sensor performs real-time checks on pollution levels to keep the air purifier operating at peak effectiveness. 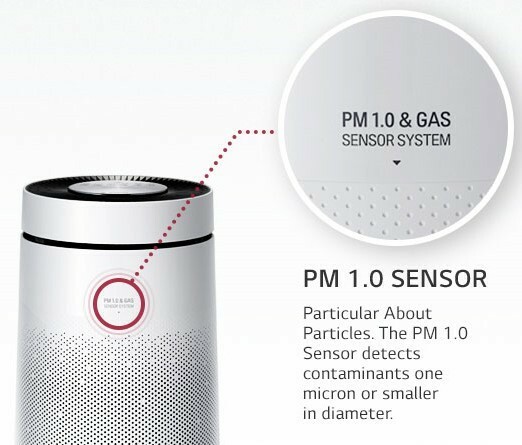 The unique multi-filter system employed in the LG PuriCare 360° captures six different types of particles including the peskiest indoor allergens to deliver purer, cleaner air. Its HEPA filtration system traps 99.97 percent of ultra-fine particulates. In addition to capturing allergens, the deodorization filter removes odors (such as food and smoke), smog and harmful airborne chemicals. Furthermore, the Baby Care feature directs gentle airflow from the base of the PuriCare to create the ideal environment for infants and toddlers. PuriCare 360° can be controlled from anywhere via the LG SmartThinQ app. Parents can check indoor air quality from their smartphone and activate the air purifier before their children arrive home from school. 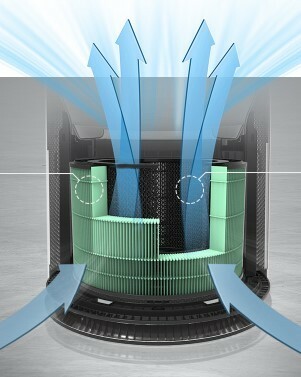 The intelligent air purifier will even alert them when its filter needs replacing. The ENERGY STAR® certified LG PuriCare 360° and other LG models save energy without compromising performance or style. According to the U.S. Environmental Protection Agency, ENERGY STAR certified room air purifiers are 40 percent more energy efficient than standard models, saving consumers about 225 kilowatt hours per year and USD 30 annually on utility bills. LG Air Solutions help families to achieve a healthy indoor environment. Families, the world over can be rest assured that LG will continue to develop technology that protects the health of their loved ones.